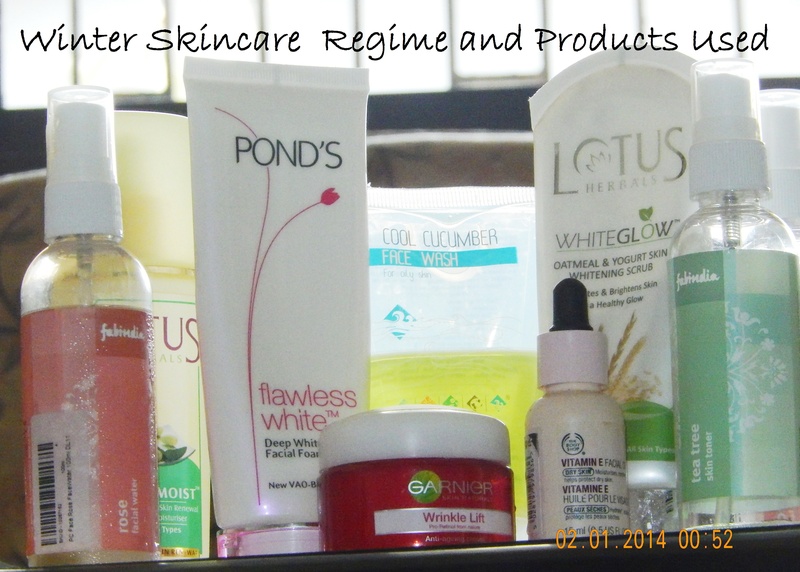 Winter skin care routine and products used. I love attending weddings and events.It’s the only time in the entire year when I get to dress up and feel a bit regal of sorts, or so I think..I could spend an eternity thinking of the dresses to wear and the makeup and jewelry to go along with..it’s endless and mad! And I’m currently obsessed with acquiring clear, glowing skin or at least faking it! But we can’t talk about clear glowing skin in the winters without emptying tube after tube and bottle after bottle of creams and serums.Not to forget this masque and that overnight miracle! Phew..It’s surely more lunatic than me in wedding season! 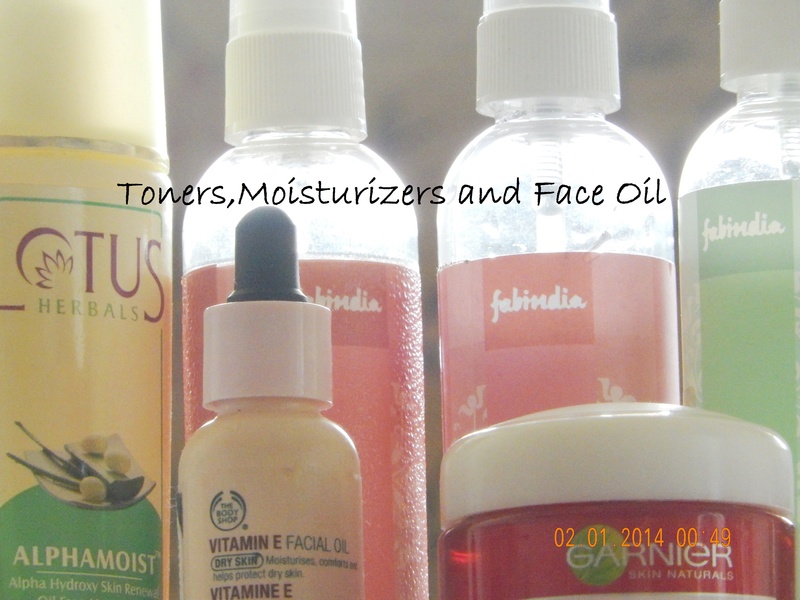 Which is why I felt it was the need of the hour to line up, evaluate and recycle my skincare for this weather. If it is not good enough, it’s not cutting it.Simple. And keeping that philosophy in mind, I’ve zeroed in, on a few skincare products, store bought or natural, which I think are essential for maintaining great, glowy skin despite having a face full of problems and acne and problems. When all else fails, YOGURT is where you turn your prayers towards. It’s without doubt the most potent skin healer around. All that other organic skincare lines do is extract its properties and sell it off as something unheard of, a genius! Nah, not for me thank you. You cannot possibly get more organic than homemade yogurt out of the refrigerator, can you? 🙂 It makes your skin plump, soft, glowing apart from healing all the tanning and acne issues. And all these are for what? 20 minutes’ absorption time? It’s criminal to ignore this wonder ingredient. Honey is my favorite when it comes to getting clear, bright, refreshed skin. It has this gentle cleansing and exfoliating property that would leave you spellbound with its after effects! It is my latest skin crush and acne savior. I apply it daily for 20 minutes or more and wash it off. 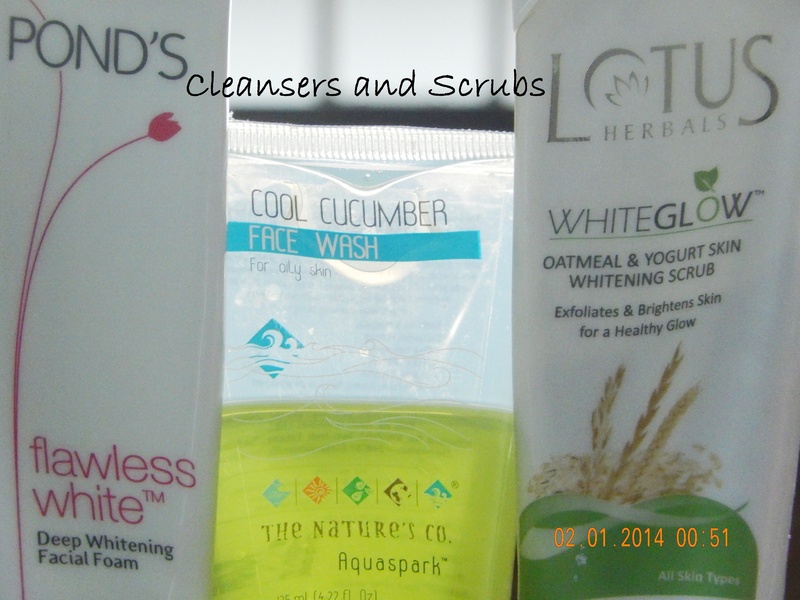 I’m left with lesser pimples and brighter, softer skin with each use. I’ve come to a point where I feel empty if I’m not wearing my honey mask in its sticky sweet glory! Love the honey and yogurt combination. When it comes to face washes, nothing beats a soap free one for winter skin. I of course agree that one needs to use a soapy foaming cleanser once a day, preferably after coming back from a busy day on the road, for a good deep cleansing. For other times I am loving The Natures Co Cool Cucumber face wash. It’s fully organic and soapfree. Cucumber is great for oily acane prone skin. It leaves my face feeling really fresh and not at all tight or dry. And with added natural good ingredients, top marks! I don’t scrub that often in winter, but when I do it’s my trusted yogurt oatmeal scrub from Lotus Herbals. Works well in polishing up my skin. I’m not that keen on toners, but if I’m having a particularly bad skin day, I like to use either a non-alcohol toner or rose water. My goto toners, no matter what the weather, have always been from FabIndia. I use their tea tree toner which has salicyclic acid, neem and tee tree extracts along with turmeric extracts, great for problem skin! At times when I’ve seen an emerging pimple, I have gone to the extent of dabbing this toner on the spot and it subdued overnight! Well it happened only once, but hey! Now you know one more trick just in case!Also this toner is skin softening. Other than this, it’s pure rose water again from the same brand.Brilliant, soothing stuff and it’s absolutely pure without any other ingredients in it. Finally face moisturizers. I really love this oil free moisturizer from Lotus Herbals called Alphamoist. I have been using this for close to 6 months and it happens to be the best moisturizer I’ve ever tried. It absorbs in an instant and leaves skin hydrated without any slippery film. Well if the former was for daytime, I use a homemade night time lotion which consists of rose water+glycerine+lemon juice. It is a wonderful night time lotion which is both healing, brightening and softening. And what’s more? It did not cost me a bomb! Stays for a month or more when refrigerated and works beautifully. All natural too, to top it all! In case I’m in need of an extra dose of moisture, I use my Vitamin E face oil from The Body Shop and it takes care of my dry spot and flakes! Sometimes I sneak up ob my mother’s skincare kit and use her favorite anti ageing cream, Garnier’s wrinkle lift cream. It smells divine, feels luxurious and is incredibly hydrating.Not to forget it is the most affordable and effective anti ageing cream out there! Believe me, I have seen proof, it works. So that is pretty much it for my skin care. It remains pretty much the same throughout the year except for the addition of face oils, heavy moisturizers or softening toners. 1. 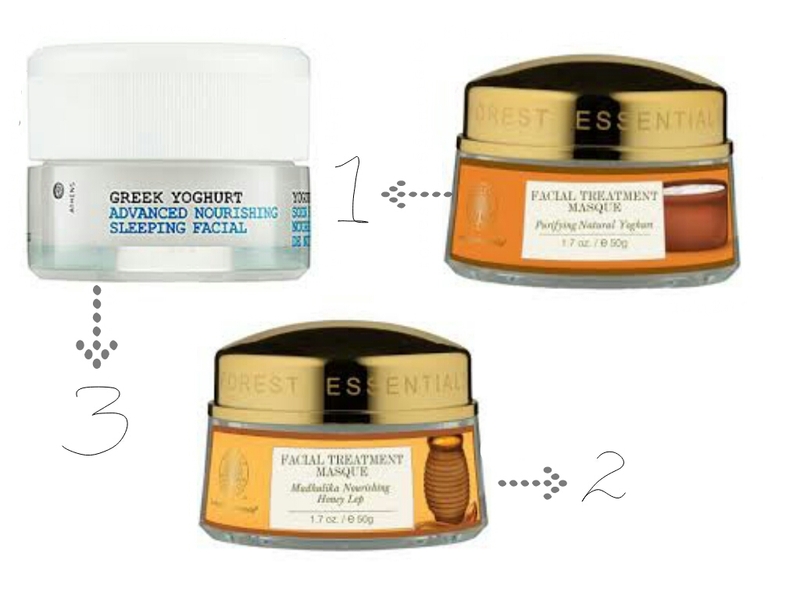 Forest Essentials Treatment Mask Purifying Yogurt : has many nourishing ingredients along with pure yogurt. Reviews are good for this product and you can read further read about it on the net.I too want to try this, my experience with other products from this brand has been excellent. And what’s more, they supply to the Taj the last time I checked! Truly luxurious! 2. Forest Essentials Madhulika Nourishing Lep : honey and other good ingredients in this natural product. Again reviews are good.